Hi friends! 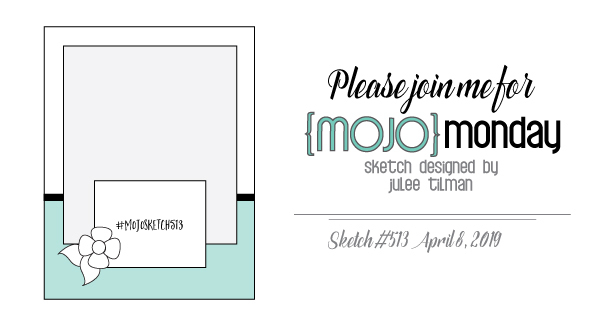 I'm so happy to finally be kicking off a new stamp release blog hop today! We've got three new sets and coordinating dies to share with you over the next few days leading up to our new release on April 10. I hope you'll hop along with us for a fresh dose of inspiration and a chance to win some shiny new Verve! I'm the first stop on today's April New Release Spotlight Hops, so if you didn't hop here from somewhere along the hop, you're in the perfect place to jump right in! All of the stamps and dies you'll be seeing over the next few days will be available in the Verve shop on Tuesday, April 10. Today the Divas and our special guest, Michele Greenwood, (hop on over to the Verve Blog today to read her little mini interview) are featuring the new Risen Savior set. If you've been following my blog lately, you've seen a few sneaks of this set in action already. I decided to release it when it came in without much fanfare so those who wanted to get a copy before Easter could. Now our release is finally here and we can give it the shoutout it deserves! I just love egg wreaths and each year just can't wait for St. Patrick's Day to be done so I can hang mine on my door! I have all sorts of plans for these sweet speckled eggs and that old rugged cross image! This has been a super fun set to design with and I've found myself humming hymns all day long as I've worked on this release! My card for today features the Risen Savior set and a word die that's in the Lifted Hope die set that we'll be spotlighting in a couple days. 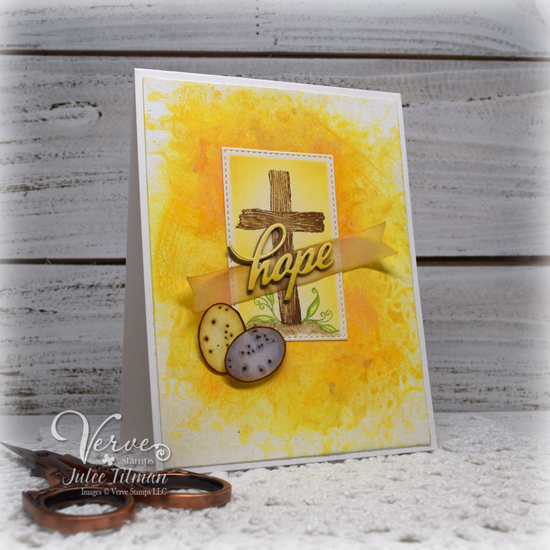 I had this vision in my head of this bright, glowing light coming from the empty tomb, so started with a mixed media background of yellows with shimmerz products and some stencils. Next I stamped the cross in brown on a stitched rectangle die cut and added the leafy sprigs in green on either side and colored in a little dirt. I then set the die cut back inside the stencil and sponged yellow ink around the inside. The speckled eggs are stamped in brown and then colored with Copics and fussy cut to add a little interest to the card. I just love these eggs and I'm sure you'll be seeing a lot of them on future creations! For the hope banner, I die cut the hope word die from white cardstock and some cardboard packaging. Then I sponged yellow inks onto the white cardstock and layered the two pieces together with a smidge of an offset, to set it off. I layered this onto a strip of vellum, sponged with distress inks and added it to my card. That's all for me, next on the hop is our super duper fabulous Guest Diva, Michele! Check out the Verve Blog post today for the full hop list, prize details, a mini interview with Michele, and a little more on this fun new set. Want to win some shiny new Verve? We'll be picking a random commenter on one of the hop spots below to win today's featured products! So be sure to leave a little comment on all the blogs below to increase your chances! Love the idea of your card. The yellow is bright and declaring the cross. 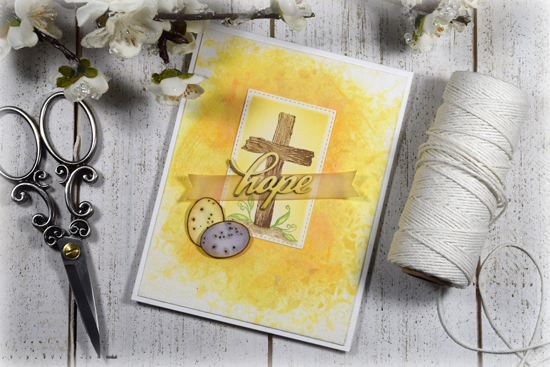 Love your bright and joyful card celebrating our hope in the cross and am excited to finally see the new release after the sneak peeks. Wonderful set, Julee. So very versatile. Love this bright, springy card, too. Alleluia, He IS Risen! We can rejoice in the risen savior every day of the year. Belated Happy Easter. Love this set and the sentiments in it. A lovely card with the cross featured. Absolutely beautiful card! It's simplicity packs a powerful punch. banner with the sentiment. Gorgeous BG color! What a bright and beautiful card! Wow! Fabulous. Love the rustic cross and the speckled eggs. Love your beautiful card. Wonderful design and colors. What a beautiful set. We just spent 6 weeks rehearsing for our Easter Cantata and the tune "He Lives" continues to resound in my head. Such a beautiful card! Such lovely colours. Love your beautiful card! Thanks for sharing. this new set is just gorgeous!! your card is absolutely beautiful!! This is such a beautiful card! Love the bright yellow! So pretty - love the colors and the sentiment. Very pretty card! Yellow is not usually my first color choice but these yellow cards are really growing on me and I am loving them. Love that Risen Savior stamp set! Sorry I missed it in time for Easter this year. Beautiful card. I love the cross and the yellow background. I love this new set! I'm Julee Tilman, creative soul, lover of coffee and Hello Kitty, and Mama to six year old identical twin boys. To read a little bit more about me click here. Most links on this blog contain affiliate links. At no cost to you, I will receive a very small percentage of any sale generated from the links I provide. I receive stamps and supplies from several papercraft companies to use in my posts, but as an independent designer maintain the freedom to say what I truly think of their products. Visit Julee's profile on Pinterest. This blog is for personal inspiration only and all projects are my original designs unless otherwise stated. I am the former owner of Verve Stamps and have also received products and materials to work with from several generous companies. While I receive free products from these companies, I maintain the freedom as an independent designer to say what I truly think of their products. I will never recommend something that I don’t personally enjoy. 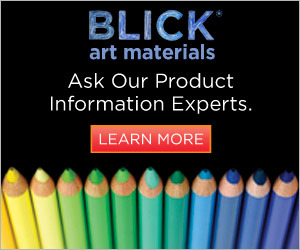 Some posts contain affiliate links to Amazon, Blick Art Materials, Blitsy, Etsy, Gina K. Designs, Hero Arts, Joggles, Pink and Main, Reverse Confetti, Scrapbook.com, Sweet 'n Sassy Stamps, and The Cat's Pajamas. 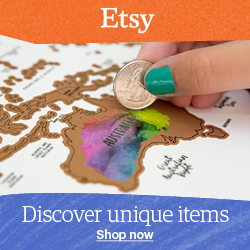 If you buy products from these companies by clicking my links, I get a small commission. This does not affect the price of the items your purchase. We are a participant in the Amazon Services LLC Associates Program, an affiliate advertising program designed to provide a means for us to earn fees by linking to Amazon.com and affiliated sites.